When it comes to live music, we like our venues sneaky. We’re talking basement bars tucked away in hidden laneways that house bands and DJs alike. And, if you’re anything like us, you like to bring the party home afterwards, too. So, if you wanna get even louder on your weekends (or weeknights— #nojudgement), we’ve teamed up with our mates at Samsung and the brand-new Galaxy Tab S3 (FYI, it has a quad-speaker system—yes, it plays your tunes louuud) to celebrate the best under-the-radar music venues in Auckland. Overlooking K’ Road, you’ll find Thievery Studio. The white, bright and beautiful space boasts two studios that are regularly booked for intimate gigs. Jupiter Project recently took over the venue to release their latest track ‘Signs’—produced on the Samsung Galaxy Tab S3. The Scandy-chic venue was the perfect spot to drop this sweet, sweet tune. 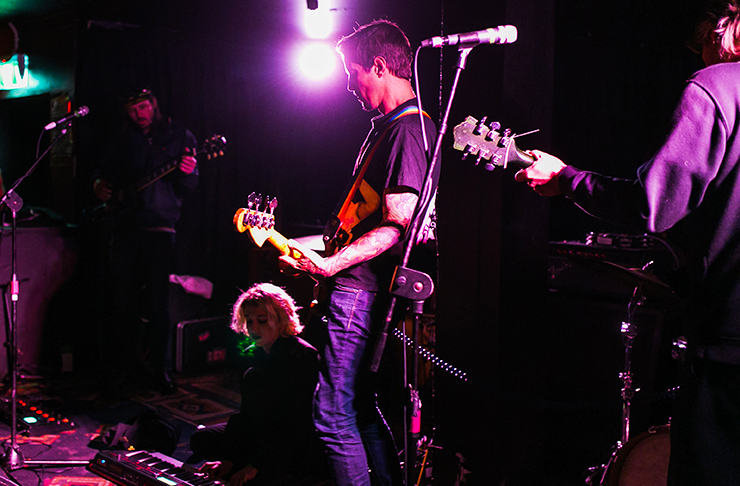 At the bottom of a staircase on K’ Road, you’ll find much-loved music venue Neck Of The Woods. The basement bar is popular with both local and international artists for its grungy, eclectic vibes. With a jam-packed events calendar, Neck Of The Woods is the place to party until the wee hours—any night of the week. Is it just us or do acoustics sound better when you’re underground? 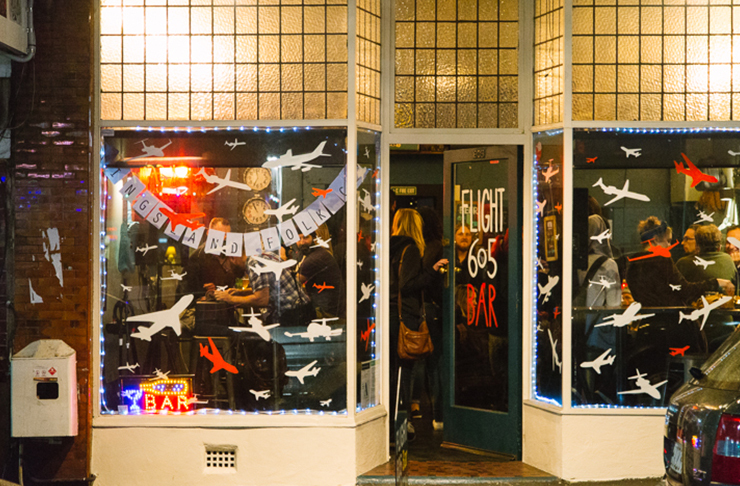 An Urban List fave, Flight 605 is an unassuming bar in Morningside. Cosy, hidden and with an epic craft beer selection, it’s the perfect spot to check out up-and-coming musos. Known for some of the best Sunday sessions in town, the tiny but mighty venue pumps out everything from indie and folk to R&B and jazz. For live music with low-key vibes, look no further than this gem. Head down the stairs of St Kevin’s Arcade and you’ll stumble upon Wine Cellar. Step inside and you’ll enter a dark and mystical cave of music and—you guessed it—wine. While there’s no stage in sight, the intimate venue is known for its experimental and psychedelic gigs. Arrive on time because there’s only room for 100 punters in the dark and moody space. Whammy Bar—another popular live music venue—is connected to Wine Cellar via a hallway. Packing slightly more punch, Whammy can hold 250 toe tapping, head bopping folk. Things are known to get sweaty and steamy as party-goers groove to alternative rock, punk and rock and roll melodies. You can’t call yourself a true Aucklander until you’ve grooved the night away here—it’s a rite of passage. If K’ Road is too mainstream for your liking, check out nearby Galatos Street—it runs parallel to the iconic strip. Here you’ll find the appropriately named Galatos live music venue. Reminiscent of an old theatre with ornate ceilings and velvet curtains, gigs are often held in the stunning ballroom. Fun fact: Lorde performed her first-ever show here. Editor’s note: This article is proudly sponsored by Samsung Galaxy Tab S3 and endorsed by The Urban List. Thank you for supporting the sponsors who make The Urban List possible. Click here for more information on our editorial policy.